Max Verstappen set a new lap record at the Autodromo Hermanos Rodriguez as third practice for the Mexican Grand Prix ended with an almighty crescendo. 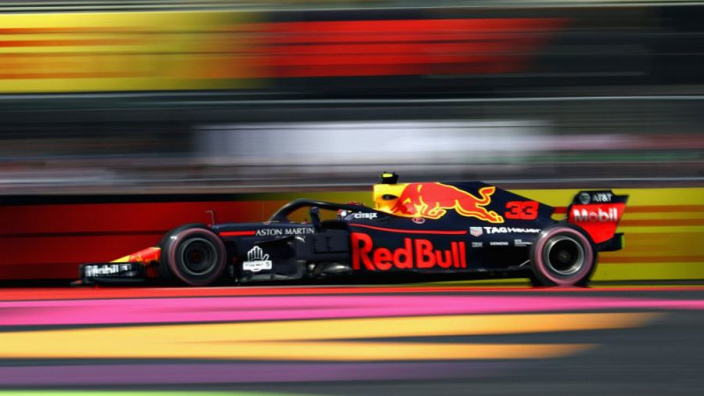 The Red Bull man was untouchable on Friday and picked up where he left off as he eyes becoming Formula 1's youngest polesitter later on Saturday. After a Saturday-morning downpour in Mexico City left a damp track, serious running was confined to the final half hour of the session as the track was not suitably wet for intermediate tyres. Fernando Alonso was the first to venture onto the track on slicks, his race engineer mirthfully reporting: "I know you don't hear this very often… we're P1, purple in every sector." Times eventually ticked down until the final 10 minutes saw some seriously eye-catching efforts. Charles Leclerc was briefly top, running just four tenths slower than Verstappen had on Friday, but the Dutchman flexed his muscles to clock 1:16.284. The Sauber man ended the session sixth-fastest, with Lewis Hamilton second to Verstappen, closing the gap to just a tenth of a second as the Renault-powered advantage of Friday melted away in cooler conditions. Sebastian Vettel was third with Daniel Ricciardo struggling to match his team-mate's pace in fourth, eight tenths away from the Dutchman. It remains to be seen if Red Bull's advantage will remain in qualifying, where Mercedes and Ferrari could have additional power and further concern came at the end of the session as both Verstappen and Ricciardo reported issues with battery deployment. Valtteri Bottas suffered a hydraulic failure and Mercedes face a race to fix his car in time for qualifying, while the Haas of Kevin Magnussen also requires an intercooler change before the fight for pole. VIDEO: Bottas breaks down - out of qualifying?